Traditional rulers in Zamfara has reacted to the accusation made against them by the federal government led by President Muhammadu Buhari, whose administration is known for shifting blames. 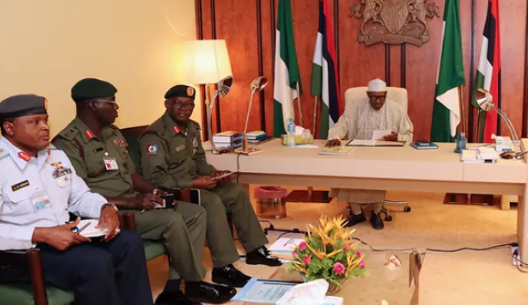 - after its meeting in Gusau, the State Capital on Thursday - that it was unfortunate the security agencies were looking for who to blame rather than taking steps to quell the crisis in the state. In a press conference, the spokesperson of the group and the Emir of Bungudu, Hassan Attahiru, dared the Defense Minister to name those he said were aiding the bandits. “Failure to do this will make his statement false and an attempt to tarnish the image of the traditional rulers and thereby making them scapegoats for the inability of the military and other security forces to end the scourge,” Mr Attahiru was quoted by NAN to have said. “The traditional rulers have always cooperated with government and security agencies in providing information on location, routes and names of persons engaged in such criminal activities. Unfortunately, the military and other security agencies have failed to be on top of the situation. “We will not shield anyone and we will want any suspect however highly placed to be arrested and prosecuted,” the monarch said and accused the Nigeria Air Force (NAF) of killing innocent civilians in the airstrikes being carried out in the state. “The Council noted that airstrikes undertaken by the military do not hit the main camps of the bandits. 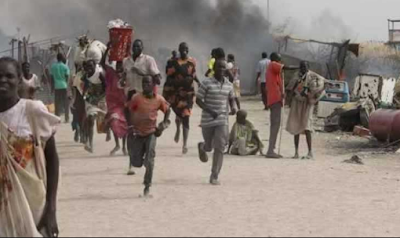 Reports from Mutu in Gusau and Tsafe Local government areas, Tangaram in Anka local government and Dumburum in Zurmi local area among others are that the areas shelled were not the actual hideouts of the bandits and the victims were innocent civilians. “If the main camps of the bandits are taken over and security personnel stationed there for a considerable period of time. This will deprive the bandits territory, mobility and supply routes, thus securing all surrounding areas,” the group said. Meanwhile, the Nigerian Air Force has denied the allegation made against it by the traditional rulers. “The NAF target selection process for air operations is particularly rigorous and methodical in order to ensure proper target identification and thereby prevent strikes on wrong locations,” a statement from NAF’s Director of Public Relations and Information, Ibikunle Daramola, read. “These were all further confirmed by days of detailed day and night Intelligence, Surveillance and Reconnaissance (ISR) missions to ensure proper targeting for the avoidance of collateral damage. “Rather than making such spurious and unsubstantiated allegations, NAF requests that anyone with evidence to the effect that innocent civilians were targeted by the NAF air strikes should produce such evidence,” the statement read.